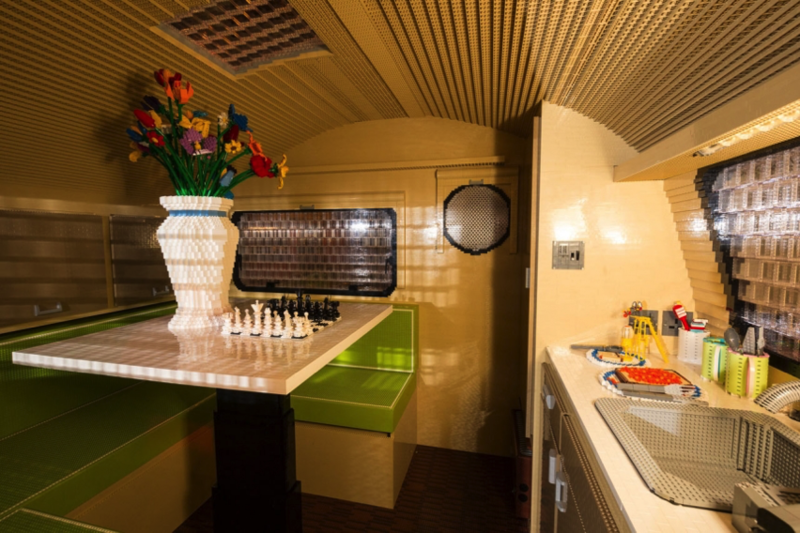 Life Size Camper Made Entirely from LEGOs #LEGO « Adafruit Industries – Makers, hackers, artists, designers and engineers! It took a team of 12 professional LEGO builders approximately 12 weeks to construct the world’s largest caravan built entirely with over 215,000 plastic toy bricks, and it even set a new Guinness World Record. Created especially for the Motorhome and Caravan Show at Birmingham’s NEC, the life-sized camper is based on the real ‘teardrop’ style caravan and includes everything from a sink with running water and electric lights to a bed, seating, a chess set and even pretend cooking facilities and fridge.